I work pretty hard to find unique things for my husband and Dad and it is very hard to find neat and useful things for them. We have a list of really neat stocking stuffers for men to help you out this holiday season. I am a big fan of practical items, especially in their stockings. To save our cool gift list to your Pinterest boards, hover your mouse over the photo above and press the “pin-it” button. We have even more lists of gift ideas for Men! If you need gifts for young artists, you will love the cool art supplies we have chosen. There are so many unique things on this list. 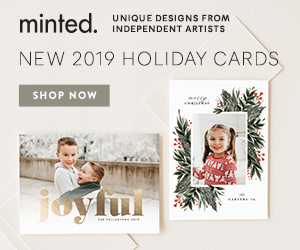 We listed all of the best, highly-reviewed art supplies, kits, books and fun tools and you will for sure find something your own artist will love. Need more gift ideas, check out the ultimate list of gift buying ideas here. It can be challenging to find neat things to give to your teen girls, but we are here to help. We have found some great gift ideas for teen girls that fall into a variety of budgets. From gadgets, to books to shoes, you will be sure to find a great gift idea for your teen girl. We have another Gift List with more 2018-2019 Teenage Girl Gift Ideas. Be sure to check it out too! These meal planning tools will help you be successful at meal planning for your family. When you begin meal planning for your family, it’s important to have great tools on hand that keep this task easy and effective. Meal planning should be a way to save time, and most of all help you stick within your grocery budget easily. Adding in a few easy tools to your kitchen will help you to make sure you are staying on task with little frustration. This is going to vary for every individual family. You need to check your calendar before you create your meal plan and have some way of posting the weekly family meal plan. You want to make sure that you plan meals that meet your schedule. You may want to make meals in the slow cooker or instant pot on nights you have little time. Some like to use a written or printed calendar with their menu each week. Others prefer to utilize something like a Google Calendar app, or even use a dry erase board to organize their weekly calendar. Whatever you choose, it needs to be functional for you and your family to stay on track. If you create meal plans but never use them, it is a waste of your time and money. Wondering what I use? 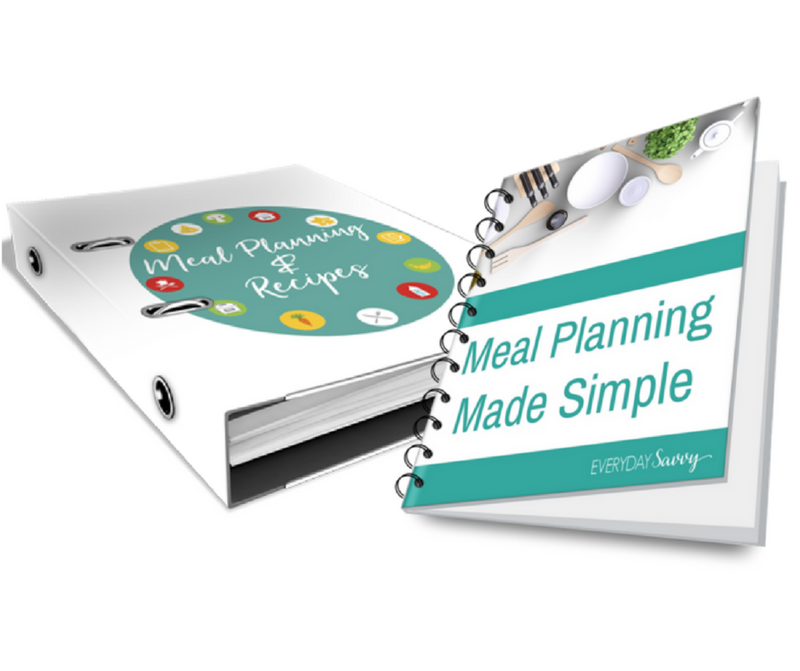 Sign up for my meal planning tips and you will even receive a special offer for meal planning printables to make your own meal planning and recipe binder. 2. Detailed Lists for Meal Preparation. If you are doing a large amount of freezer meals for your meal planning, you know you need detailed lists of ingredients. You will also need a detailed list of preparation needs. For each recipe, you’ll be preparing meats and vegetables in different ways. Making a detailed list that tells you how much meat should be chopped, braised, broiled, or grilled can help you to easily and effectively manage your meal plan and save time doing things over and over again. Doing all of a particular type of prep at one time will save you time and frustration in the long term. You can learn more about turning your favorite recipes into freezer meals here. 3. Quality Knives and Utensils. Have you ever tried to cut multiple pieces of meat or vegetables with a dull knife? If so, you know how frustrating it can be to manage. Quality utensils are really important for meal planning as they will save you time and frustration. Grabbing a good set of knifes along with a sharpener is a must. You will also want sturdy wooden spoons, spatulas, and a ladle for assembling items, as well as cooking. I am a huge fan of this starter Henckels knife set made in Germany. The knives with the twins logo are higher quality and made in Germany not China. I say boards because you really need to have at least one cutting board that is used ideally just for raw meat preparation. Having multiple cutting boards when meal planning will keep things safe, orderly, and sanitary. You want to have one that is used just for vegetables, one for meats, and possibly one clean cutting board to use for cutting things like breads, tortillas, or other items needed in recipes. These cutting boards look neat and even remind you what you are supposed to cut on them. If you are doing a large meal planning event, you will definitely need to have measuring cups and spoons on hand. I much prefer glass measuring cups for liquids, but I love my stainless steel cups and spoons for dry ingredients. If you can afford two sets of each, it will be nice to have on hand so you don’t have to worry about washing a lot between uses when preparing multiple meals at once. If freezer meals are a part of your meal planning system, then one tool I highly recommend is a Food Saver. This vacuum sealing system will help keep your meals tasting fresher for longer periods of time. This is important to those who may be taking advantage of meat sales, seasonal produce, or even just want to do a month or longer of meal prep at once. A Food Saver is a great investment that can keep food fresh much longer in your freezer. If you prefer to use gallon Ziploc bags for your freezer meal preparation, freezer bag stands are a great investment. These little plastic stands allow you to hold your freezer bags upright while you fill them with ingredients. It keeps them clean and sanitary, and makes it a much faster process of preparation. Whether you are meal planning for your freezer or just trying to keep up a weekly plan, a Crockpot is an ultimate helper. Being able to toss foods in before you go out for the day and come home to a fully prepared meal is a huge time saver and makes meal planning much more useful to busy families. They are also great for making things like homemade stock, homemade marinara sauce, and even cooking dried beans for use in all of your recipes. This makes your meal planning efforts even healthier and more budget-friendly. I also love my Instant Pot that makes cooking foods very quick and easy. Have an Instant Pot but not sure how to use it? This free Instant Pot Class can help. It even includes a free Instant Potmeal plan! I recommend at least one large 5-6 quart Crockpot as well as one smaller 3-quart option. They are nice to use for parties and buffets to keep food to temperature, but also great for making side dishes and full meals. Another alternative to using freezer bags are quality glass freezer storage containers. I love the Pyrex freezer containers that come in various sizes. They are ideal for stacking in a freezer, and even allow you to build things like casseroles that can be thawed, brought to room temperature, and then put directly into the oven saving you dishes needing to be washed. They can be pricey up front, but in comparison to the other vacuum seal or Ziploc storage bag options, they are cost-effective over the long term. Aside from these tools for meal planning ease, you need to actually have meal plans your family will eat. Meal planning saves a ton of time and money, but not if you are feeding your family foods they won’t enjoy. You can build your own menu plan around family favorites, or invest in some of the many meal plan options online that fit your family needs. It’s not just about having tools in your kitchen, but about having meals that will fit your family and make your meal planning efforts worthwhile. If you are looking for meal plans already made for you, I personally am a huge fan of the Eat at Home Meal Plans. These include 4 different meal plans each week for one low price and they include freezer meals. These are what I feel are the must-have tools for meal planning. Creating a functional meal plan for your family isn’t as hard as it sounds. It simply includes a bit of time up front and consistency in your daily routine to build a plan everyone will love and you will find saves you time and money in the long run. Don’t forget to sign up to get more meal planning tips and a special offer for my meal planning and recipe binder printables. Find all the best backpacks for school. Highlighted are durable quality and cute backpacks for elementary, middle school and high school. If you are looking for back-to-school gear like backpacks and lunchboxes, the best way to save is to buy quality sets. I like to spend a little more to on my gear and then have my kids use them for a few years. Some of the lower quality sets tend to rip, break or have zipper problems mid-year and then you will end up replacing them before the year is over or replacing them yearly. You can find durable backpacks and gear with coupons at Land’s End, Pottery Barn Kids, eBags, Garnet Hill, LL Bean and more. Also, many stores are shipping backpacks to your doorstep for free. Instead of spending precious time and gas, stopping at store after store, order your backpack online and take advantage of free shipping offers. Lots of these stores gave free shipping and discount codes right on their home page. Interested in more coupons and savings on backpacks? Click here to join our facebook group where we share the most up to date coupons on backpacks and other deals. Summer is here, the kids are home and likely more time will be spent outdoors. While June will find us entertaining outdoors we will still be spending a lot of time in the heart of the home- the kitchen. That is why this Kitchen Cleaning Checklist is so helpful. The kitchen is where we store and prep for indoor and outdoor entertaining so let’s give it a thorough cleaning to get ready! We are in the final weeks of spring and headed hard and fast towards summer! Time for vacations, leisure time, and all that summer brings. Let’s get the house ready for summer guests and summer activities that you can enjoy guilt-free because you are working so hard to clean and organize your home! A few days ago I got an email from a reader who answered my question about what she needed help with and she said this….. I think many of us feel this way. Meal planning and looking good without ton of effort can be a challenge but having a plan and system helps. The reality is, we can all use a little help along the way, from women who have strengths in areas where we struggle, or who are a little further down the road than we are. What if you had simple outfit ideas to help you get dressed every morning? I’m so excited to tell you about a digital library of resources and tools to help you in all these areas and more! Plus, I am offering my new Meal Planning Made Simple System as a FREE bonus with Meal Planning Printables to make your own Meal Planning and Recipe Binder and an ebook to make the system work for you! This offer is only available if you purchase through a link in this post. This is a special offer since I value you all so much! I do make a small commission on the sale when you purchase through my link and that is what enables me to offer you the Meal Planning Made Simple System for FREE! As a special bonus, if you buy by the end of the day on April 12, you also get a FREE Style Challenge from Get Your Pretty On. Here’s how the GYPO Style Challenges work: Depending on which challenge you choose, you’ll get up to 64 mix-and-match, on-trend outfits that will make you feel like a million bucks. Once you have purchased, don’t forget to fill out this form with your name, email and receipt number to get your Meal Planning Made Simple Bonus! One of my favorite things to do is to stuff arts and crafts supplies in my kids’ Easter baskets. In my mind, I am restocking to keep my kids busy in the coming months. I find that when I buy high-quality arts and craft supplies they last longer. If you need Easter basket ideas for kids, check out all of the neat things we have found to help you build your Easter baskets. You can save this fun list of Easter basket ideas to your Pinterest by pressing the “pin-it” button above. Love these unique and fun gift wrapping ideas for Christmas. Christmas, and the joy of the season is one thing I think we all look forward too. Of course, part of the fun is all the gift giving we get to do, however maybe not so fun is the wrapping part. Some people may find it a bit tedious, and even wasteful! We were thinking we could help you out this year, and we went looking for Brilliant Gift Wrapping Ideas, and you can rest assured, we found some, and you’re going to want to try them all! I love finding really unique stocking stuffers. My kids get so excited opening their stocking and discovering the cool things tucked inside. I buy a few cool things and then add bandaids, undies, toothpaste and body wash. We have found some really cool things that would make great stocking stuffer ideas for girls. To save this cool list for later, press the “pin-it” button above to save it to your Pinterest boards. We have more unique stocking stuffers for girls and tweens on our ultimate list of gift ideas page. If you need really unique stocking stuffer ideas for men, you won’t want to miss this list of great stocking stuffer ideas. We have found lots of really neat, affordable and useful items that your husband, boyfriend, Dad or friends will love. We found some neat, small electronic gadgets, practical items, fun items and more to fill those stockings. We have more gift ideas and stocking stuffer idea lists for men. Check out our Ultimate List of Gift Buying Ideas.